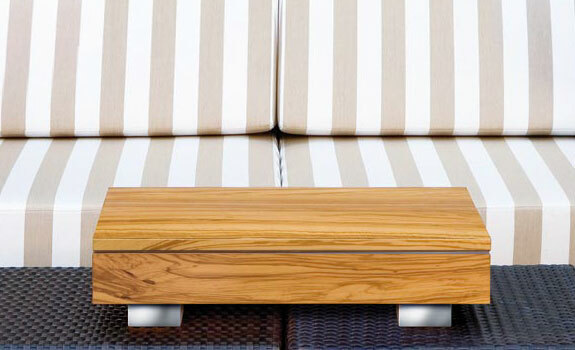 When sitting closed on a table the Firebo-x from Schulte looks like an elegant, yet otherwise ordinary, wooden box. 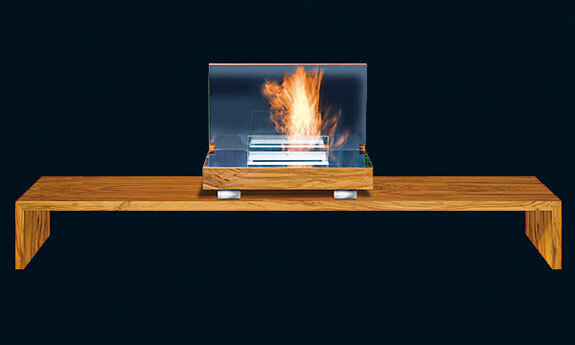 Only the box’s metal base hints at what lays within: a miniature fireplace. Open and ignite the Firebo-x and voila. 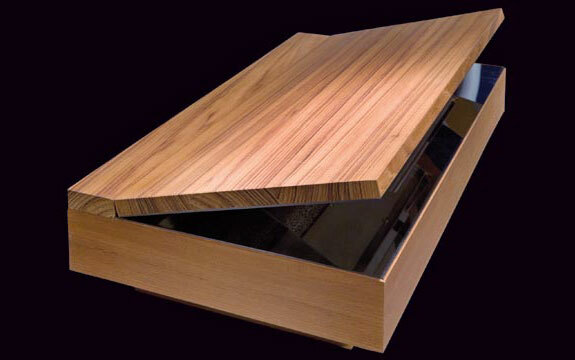 The flames flickering along the top of the box are fueled by an efficient, clean burning, bioethanol solution provided by the company. The Firebo-x’s 2.5 liter (.66 gallon) tank holds enough fuel for five hours of continuous use. And flame produces no pollutants (other than carbon dioxide, same as a candle) so the Firebo-x is safe to use indoors without any special flue or ventilation. To turn off the Firebo-x simply close the hinged lid and the fire will safely extinguish. 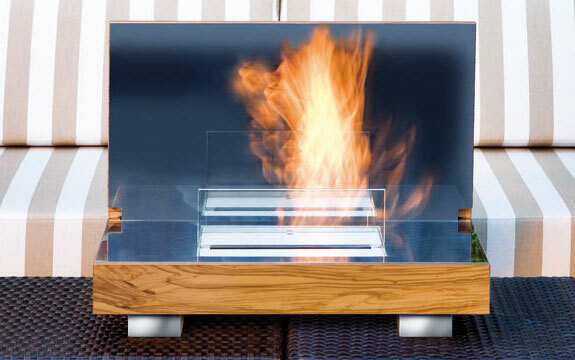 While in use the Firebo-x produces a long thin flame that, combined with mirrored underside of the lid, gives the illusion of a rather sizable fire. If you are looking to warm up on a chilly night, though, you will be disappointed—the Firebo-x throws out very little heat. 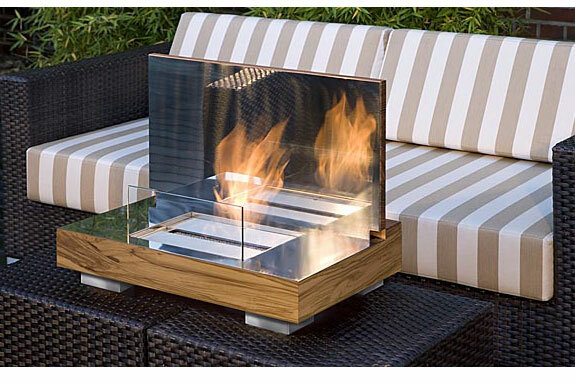 This mini-fireplace is more for ambiance. Bring it out with you out on a porch at night, or place it on the coffee table in your living room, to create a romantic atmosphere for your special some one—on second thought maybe the Firebo-x can keep help keep you warm on a chilly night.